Artist Reply: Thank you for the kind words! I try to bring joy and happiness to my works! cheers! 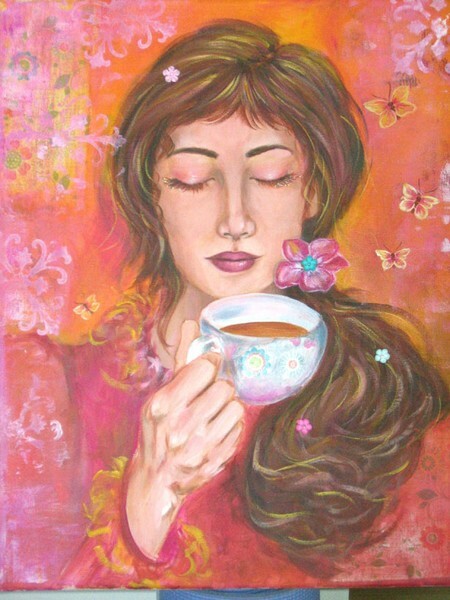 This would be a great painting for advertisement of coffee or tea. The flowers and butterflies make a wonderful background!